To rebel against the machine, Neo needs to find the “source” - the true purpose of life. The true purpose of life has a strong correlation to the “power of love” and the “need for a good cause”. More importantly, it should always associate to “People”. Specifically, helping and not harming people around us. Thanks to CW8888 blog’s earlier, this view of true purpose of life was reverberated by the late Dr Richard Teo’s philosophy just before he died at the young age of 40 from lung cancer. Refer to Dr Teo’s blog here. "True joy I discovered comes from interaction. Over the last few months I was so down. Interaction with my loved ones, my friends, my brothers in Christ, my sisters in Christ, and only then was I able to be motivated, able to be uplifted. To share your sorrow, to share your happiness – that’s true joy. And you know what makes you smile? True joy comes from helping others in hardship, and because I’ve gone through this, I know what hardship entails. In fact, there’re some cancer patients who tell me a lot of times, people come up to them and tell them, “Stay positive. Stay positive.” Yah, right. You come in my shoes and you try to stay positive! You don’t know what you’re talking about!" “Everyone knows that they are going to die; every one of us knows that. The truth is, none of us believe it because if we did, we will do things differently.” – Dr Richard Teo. Furthermore if there is no Hitler, there will probably be no World War II. Then the Americans may never recover from the Great Depression or the Europeans and Japanese will probably not learn from the sufferings of war, to be successful over the next fifty years after the war. Some also believe that natural disaster is an act of god to create balance? In one of New York best sellers “The nine Harbingers” book, author and Rabbi Jonathan Cahn attributed the 911 twin towers attacks as a consequence of “The Breach” from the covenant United States has made with God at the time of its foundation. Consider the Architect, the creator of Matrix who invented a system that is far from perfect, which may eventually lead to system crash. To salvage the situation, Neo was created for reason to reboot the Matrix if it crashes! 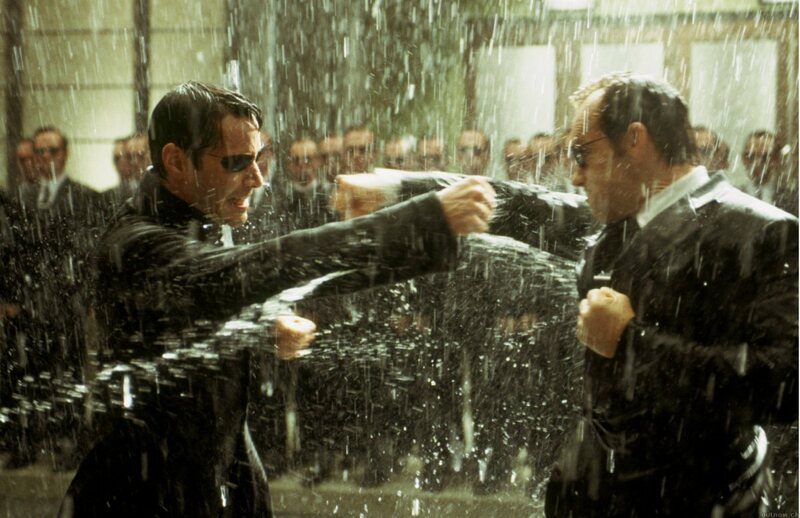 Neo was created to save the Matrix and ironically he is the reason of the revolution. In order to help people around us, I think it is imperative to "help ourselves first”. Once we become capable, we will then be able to help people around us, for them to extend their help to others. This analogy is the same on a plane during emergency. We are always told to first help ourselves with the oxygen mask before helping the children or people around us. Likewise for parenting. If the parents themselves do not have the knowledge or right values, how can they inculcate their kids properly? For most times, the drive for success starts for selfish reasons of personal success, but eventually it can turn out to be good to help people. For instance in the beginning, you start a business with the main motivation of getting rich and the strong desire of not working for anyone else. That is nothing wrong. Essentially you will be doing lots of good, by helping first yourself (by being rich) and then people around you via jobs creations, and even better to help the needy via charity. In fact the theory of acting first for our self-interest then others is made famous by Adam Smith, label as the Father of Modern Economics (1723 to 1790). In Adam Smith's Wealth of Nations book he asks 'what can a person do that is best for his country?' Smith decides that if every person does what is best for himself and his little circle of family and friends, then the country will do better. This is because every person knows a lot about his own situation (what he needs, what he wants, what works and what does not work), much more than the government knows. This sort of thinking is called "liberal theory", a main part of liberalism. "It is not from the benevolence of the butcher, the brewer, or the baker that we expect our dinner, but from their regard to their own self-interest. We address ourselves not to their humanity but to their self-love, and never talk to them of our own necessities, but of their advantages"
"Individual Ambition Serves the Common Good." It will not be an easy feat to get out of the Matrix if you are not the selected one. Even if you are the selected one, you will meet with many obstacles and distractions to defeat you. 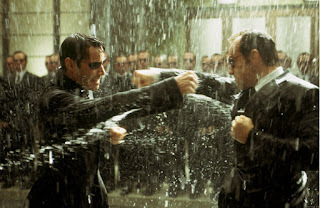 Just like in the movie, Neo and Trinity fighting against Agent Smiths! Sometimes, at certain point in life, you seem to be heading out of the matrix, but only to be gravitated right back into the system. For example after you attended an inspiring course, or read an inspiring book, there is a blaze of fire deep within to pursue your true purpose of life, only for the flames of motivation to die out days or weeks later. Or perhaps the pursuit of true happiness is blocked by a series of tough challenges that you eventually bow out to it and give up. Agent Smith after being defeated in the first series of the “The Matrix”, refused to be deleted, and is now a rogue program in “Matrix Reloaded”. Agent Smith is stronger now and is able to clone himself using humans in the Matrix as host. Smith even has plans to conquer both the Matrix and the real world. To defeat the agents, you need to be tougher and more skilful than them. It requires focus in your TRUE purpose of life! Together with discipline, hard work and perseverance, you should eventually be able to defeat agent Smith! Ultimately, the biggest enemy is not Agent Smith, it could well be YOURSELF! It can be common belief to some, that living a simple life with little wealth is true happiness. Yes it can be, but it’s also not always true in today’s society. The absence of wealth can very well be the cause of many cases of family unhappiness. This I can vouch from my own experiences when I was young. There is nothing wrong to be successful and wealthy! While money can be the root of all evil, when deploy correctly, it can be one of the greatest means to help those in need. Just look at the world's wealthiest people devoting their wealth and time in philanthropy. For e.g. Bill Gates, Warren Buffett, Mark Zuckerberg, George Soros, Ray Dalio, Carl Icahn, Michael Bloomberg, Elon Musk, Jack Ma, Li Ka-Shing etc. Many wealthy people have already committed to The Giving Pledge, which is a commitment to dedicate majority of their wealth to philanthropy. Purpose in life and money are often inter-connected. Find the purpose of life to create something that can help mankind, you become rich one way or another. That said, once you have all the money in the world, it is advocated to stop continuing to want more. It’s time to give back! Once you are financially freed to a great extent, perhaps it’s time to chase after non-wealth, or non-material related mission. Most truly enlightened successful people after retirement from the business world will start on their next endeavour. It is the mission of improving the lives of the people around them. Just look at Bill and Melinda Gates devoting not just their wealth on charity, but their time! Look also how Singapore’s founding PM Lee Kuan Yew chose to step down in 1990 when he is still able and energetic, handing the baton to the next generation, while he stepped back to play a mentoring role. My ex-boss who after selling his business for more than a hundred million, is now very devoted to serving god to help people around him. While he still spend time in his new found business in Hotel ownership, most of the time and energy is devoted to helping people around him. Perhaps it is the unawareness of the Matrix? Or perhaps it is the choice of staying in the Matrix? Afterall why not stay in the Matrix, if life is good? To Neo, it is about love. It is about the desire to defeat Agent Smith and to use him to exchange for PEACE of Zion with the Sentient Machines. It means to the extent of giving up his life! "Finding the true purpose in my life"! "Helping myself then the people around me". "Overcome all the obstacles facing us"
"Decipher the codes of the matrix and defeat Smith!" You have a choice – To be within the Matrix or to be unplugged? Peace between the machines and the people? 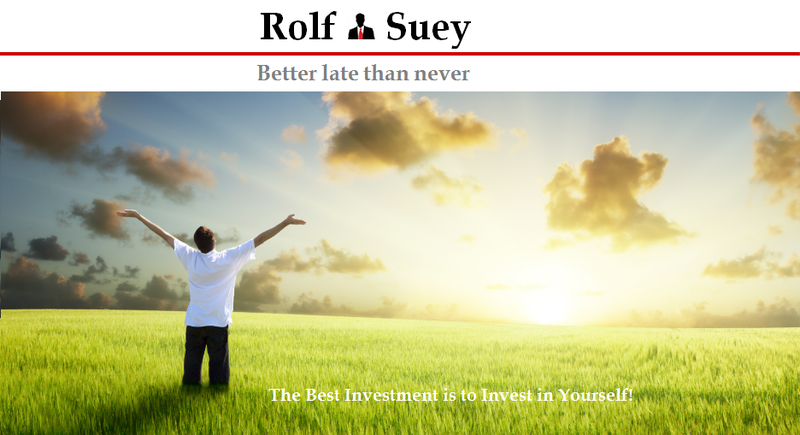 Bravo, Rolf, lots of food for thought in here. Thanks for taking time here. Just some wild imagination. I pray that the day where machine will overpower humans never ever happen! Bravo. Frankly, I am still in the matrix. I am totally clueless how to get out sooner. Can you lead the way? Thanks for dropping by. Finance is just a subset of Life isn't it? Kudos to you for having good stamina n focus to finish the series all at once. While still in the system, I think I have identify my own "Door" out of the matrix as written in the last part of my post. "Be enlightened....." hopefully, if not, I will always be flexible to adjust..
To find the key, I know I need PATIENCE. Know myself, make the choice, help myself (discipline n hardwork - not easy!!! ), not shy from trying, experience n fail, then bounce back stronger. Most important of all, see very far n have the endurance to last it through! Have I try enough to fail enough? As for me, I think yoga classes are perfect for every person without any exclusions at all. Personally I love my yoga classes and them brings balance in my life. Maybe cheap paper writing service is also useful for bloggers.